In April of this year, Jamie and I took a road trip to Las Vegas for the annual Viva Las Vegas Rockabilly weekend event. It was an amazing time. 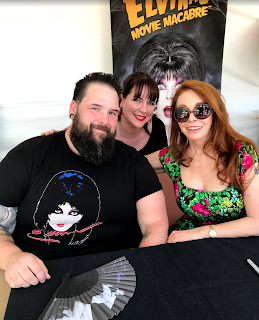 On top of all the great hot rods and a live performance from the Stray Cats, who reunited at Viva for the first time in ten years, we got to meet my childhood crush - Elvira!